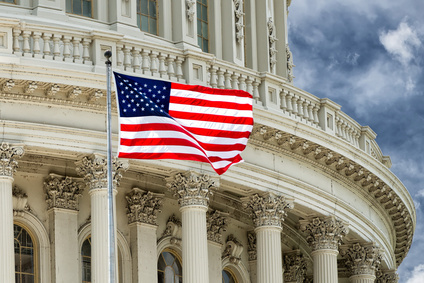 Eyes are now focused on the future after the United States House of Representatives backed the reauthorization of the Rohrabacher-Farr medical marijuana amendment through a majority vote. The amendment has been authorized to the CJS- Commerce, Science, and Justice Appropriations bill for the year 2015. The Rohrabacher-Farr medical marijuana amendment prohibits the US Department of Justice from spending public money on prevention of the implementation of medical marijuana programs. In the absence of the amendment, the constitution would prohibit any state-level medical marijuana programs from being implemented. It would as well approve funding for raids on federal medical marijuana, sanction arrests and prosecutions in different US states where medical cannabis has been legalized. In essence, the constitution would overrule any other laws governing the medical marijuana programs in various states. The Rohrabacher-Farr medical marijuana amendment currently covers 39 states following the addition of seven more states into the program last year. It also protects access to medical marijuana programs for about 275 million residents of the different states. Patients now applaud the move by the US House of Representatives to have the Rohrabacher-Farr medical cannabis amendment back in force. The amendment provides essential protection for both patients of medical cannabis and the people who provide them with access to this medicine. Officials have termed this move as a reaffirmation that the federal government is committed to keep from interfering with state medical marijuana programs. They have called upon the people to use this time to focus ahead in making the medical cannabis programs helpful to many. What is left is to create a framework that will bring both federal and state authorities to cooperate in passing the Carers Act. The re-authorization of this amendment is likely to have a far reaching impact on the economy. With open recognition of this product, the government is likely to start getting revenue out of its sale and related trading actions. Businesses have equally welcomed this piece of legislation with great prospects. Financial organizations are already providing marijuana business funding to merchants who are venturing into this industry. Get your Marijuana Business Funding Today! This entry was posted in Marijuana Industry and tagged Marijuana Business Funding, Rohrabacher-Farr CJS Amendment, state medical marijuana programs by admin. Bookmark the permalink.